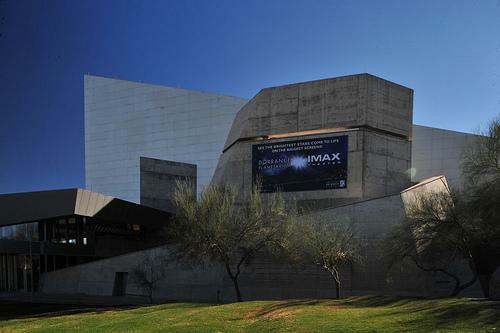 The Arizona Science Center in Phoenix's Heritage and Science Park features over 350 permanent hands-on exhibits along with nationally acclaimed traveling exhibits. 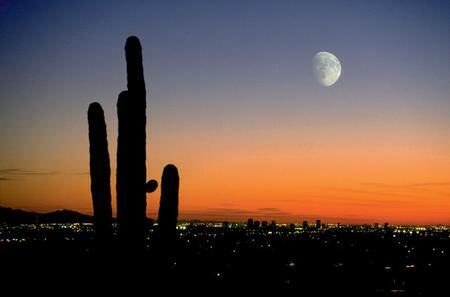 The Arizona Science Center in Phoenix's Heritage and Science Park features over 350 permanent hands-on exhibits along with nationally acclaimed traveling exhibits. The interactive displays provide a fun, learning experience to acquaint kids with various scientific concepts. All About Me introduces visitors to the intricacies of the mind and body, with exhibits on the physiology of movement, mechanisms of healing, patterns of learning and remembering, and new biotechnologies. Many Hands Make a Home has displays on the materials, processes, skills and knowledge used in building an Arizona house. Forces of Nature explores and simulates natural and geological phenomena in the world around us. My Digital World has exhibits on various facets of information technology. Get Charged Up is an interactive space that demonstrates the basic forces of gravity, electricity, friction and magnetism. Solarville is dedicated to solar energy and its immense potential. The Dorrance Planetarium and IMAX Theater present entertaining and informative shows. The Center organizes various programs for kids as well as adults, so check their website for the latest.